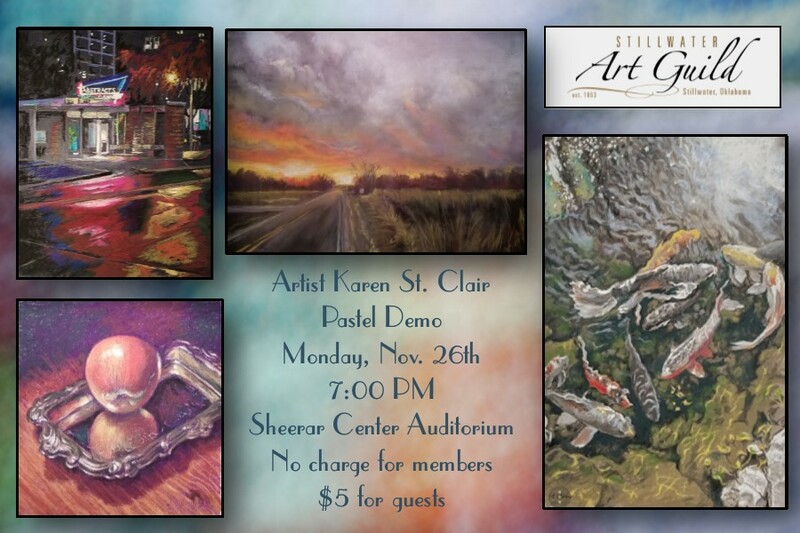 Monday, November, 26th, artist Karen St. Clair will do a pastel demo. No charge for members, $5 for visitors. Refreshments served. This entry was posted on November 21, 2018 at 3:18 am and is filed under Newsletter. You can follow any responses to this entry through the RSS 2.0 feed. You can skip to the end and leave a response. Pinging is currently not allowed.